I really don’t have enough time to read a lot of young adult or general books. I read so much for my review blogs that there aren’t enough hours in the day. That, and the fact that I seem to require an awful lot of sleep, particularly in the evenings. I even joined a book club expressly so I would be forced to read something other than picture books and middle grade novels. 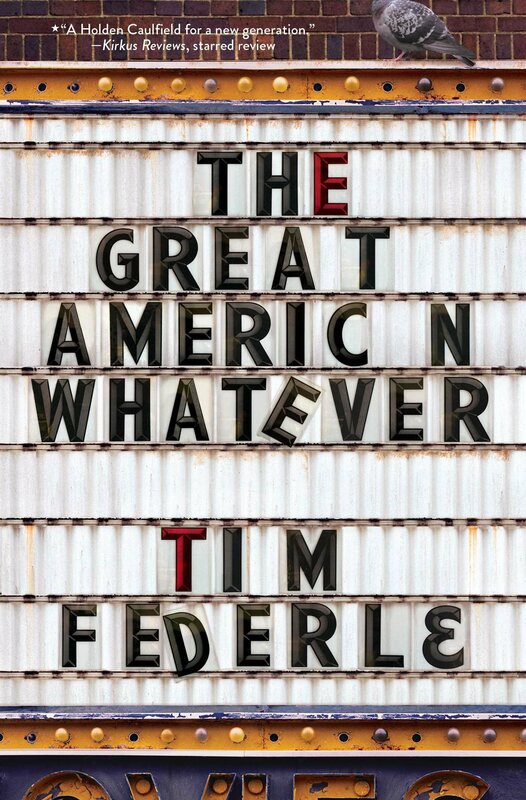 But I made an exception for Tim Federle’s The Great American Whatever. And it was a good decision. Quinn, or Win, is coming up on his seventeenth birthday. He lost his sister, Annabeth, nearly six months before and is just beginning to come to terms with the loss. It was his great hope that he and Annabeth would make great movies together under Q&A Productions. Now, he’ll have to find his path without her. In addition, he feels guilty over her death, find he may not have known her as well as he thought, and is just beginning to emerge as the gay man he’ll become. An awful lot to deal with. His friends, siblings Geoff and Carly, are working to get him back into the world. Carly sets him up with another friend. The coming-of-age and grief issues Quinn faces are universal, making all the characters relatable and likeable, whether or not you relate to being gay or even to losing a sibling. One blurb compared Quinn to Holden Caulfield, but Quinn is much more of the world than Holden and much more open about his real emotions. He loves his mother and defers to her whenever possible. He has mixed feelings about his absent father, which also makes the character ring true. He misses his sister and realizes he needs Geoff. He has hopes and dreams, though he wonders if they’ve changed with Annabeth gone. His quick wit is delightful. And he doesn’t seem to worry about phonies. So, if you don’t have time to read this book, make time.